MIAMI, Florida, December 15, 1925 – Rear Admiral Robert Morris Doyle, USN, retired, died today at his home at Coconut Grove, aged 72 years. 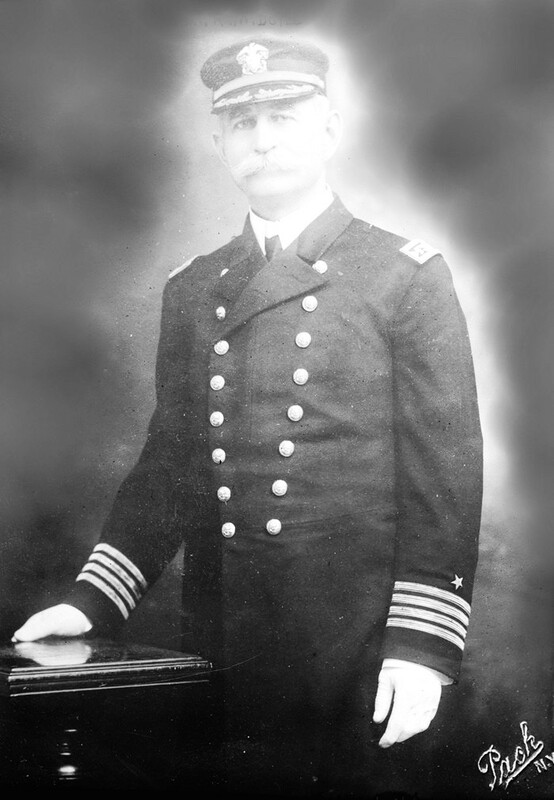 Admiral Doyle was born in Dyersburg, Tennessee, May 5, 1853, graduated from the Naval Academy in 1875, became a Rear Admiral on June 7, 1913 and retired on May 5, 1915. During the war with Spain he was navigating officer of the USS Dixie. On the cruise of the battleships around the world in 1903 he commanded the Missouri. From 1911 to 1913 he was commandant of the Norfolk Navy Yard and from 1913 to 1915, Commander-in-Chief of the Pacific Reserve Fleet. During the World War h was recalled to active duty, served from June 1918 to May 1919 as Commandant of the Fourteenth Naval District and the United States Naval Station at Pearl Harbor, Hawaii.